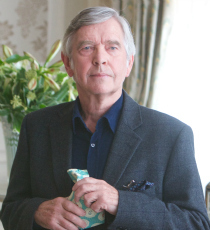 Tom Courtenay is an Academy Award nominated actor, who is best known for roles in films such as Doctor Zhivago and The Dresser. Tom’s television appearances include Unforgotten (of which he was awarded a Bafta for Best Supporting Actor) and Little Dorrit and his stage credits feature Twelfth Night (Old Vic) and Uncle Vanya (Circle in the Square Theatre, New York). His recent film credits include King Of Thieves (2018).